My family loves Midwest tomatoes and we love grilling; that is why we love this recipe for Grilled Tomatoes with Basil Puree. A bit of char from the grill and the burst of flavor from the basil oil makes this recipe absolutely delicious! Cut the tomatoes in half crosswise, brush with 1 teaspoon oil and season with salt and pepper. Oil the grill with 1 teaspoon oil and set for high heat. 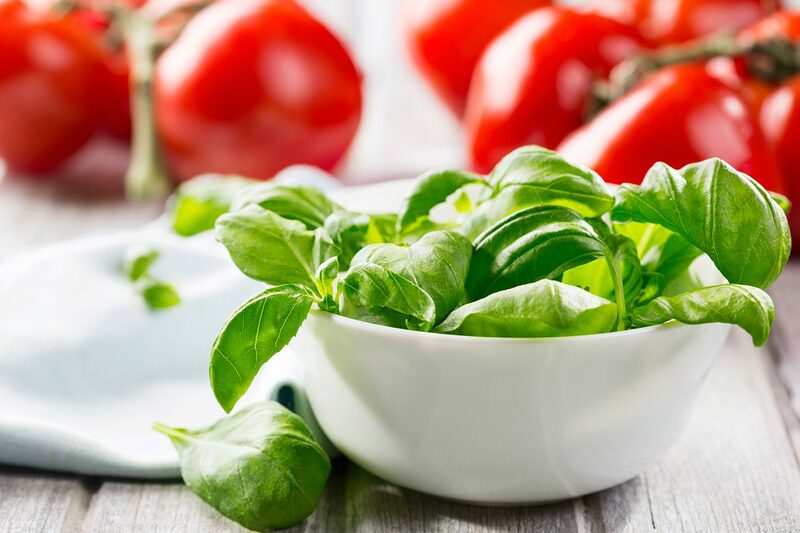 While the grill heats up, prepare the basil puree. Pulverize the garlic with the ¼ cup oil in a blender, then add the basil and a pinch of salt. Puree until smooth. The mixture should be thin enough that you can easily drizzle it over the tomatoes. Place the tomatoes cut side down and grill for 3 to 5 minutes. Turn over and continue to cook for another 3 to 5 minutes. Remove from grill and drizzle with basil puree. Serve immediately.